Jay is a principal at AOR Solutions. He has a PhD in Mathematics, and has been a specialist in analytics, data analysis and optimization for 20 years. His expertise is in the understanding of business requirements and developing data and analysis to support business goals. He has been studying the Google search algorithm for over 10 years. He was a Defence Scientist with the Department of National Defence, an Assistant Professor at the University of Prince Edward Island, and a Cryptomathematician with the Government of Canada. He has been in business since 2003, and is Google AdWords and Google Analytics Certified. In his free time, Jay loves to sail and travel. Michelle is a principal in AOR Solutions, and is a specialist in strategic planning, management and stakeholder engagement. As a small business owner, the former Executive Director of TVN (a National Centres of Excellence non-profit research network) and former Chief of Staff to a federal cabinet minister, Michelle has wide experience in setting and meeting strategic goals, strategic planning and in working with government, academia, and both not-for-profit and for-profit organizations. She has also worked as a public policy consultant and researcher. Michelle is an avid sailor and voracious reader. Amanda is our Client Happiness Manager whose primary focus is to work with our team to ensure that the needs of our clients are met. Amanda has had experience working with digital analytics, AdWords, and creating social media plans. She is a Holland College graduate of the Business Administration program with a Web Analytics certificate from MacMaster’s University Centre for Continuing Education. Amanda also was a Business Administration Advisory Committee member for Holland College from 2015-2017. Debbie is an experienced graphic designer who has successfully served both not for profit and business clients. She specializes in the graphic representation of a brand to visually differentiate an organization, communicate its personality and build credibility. Whether developing an organization’s visuals from scratch or working with its existing branding, Debbie’s unique creatives provide outside-the-box design solutions that represent clients clearly, accurately and add market impact. As an experienced web designer, Debbie approaches each site’s design and development with an eye for engaging layouts and features combined with user-friendly navigation based on the organization ‘s strategic objectives. Before becoming a designer Debbie earned a Bachelor of Nursing Degree and Teaching Certification. She is an avid amateur macro photographer. Vicki has been a program and policy consultant since 2007 and has over 25 years experience working with not-for-profit organizations. Her experience includes program design, development and evaluation; analysis and translation of information for program and policy development; board governance development; and public engagement. Working with staff and volunteers, Vicki provides practical solutions for clients based on strategic processes to realize needs and goals. Her facilitation of strategic planning processes is based on sound frameworks for success, modified to meet client needs and infused (where appropriate) with a touch of humour. Nationally, Vicki has worked as a consultant for the Canadian Lung Association, the National Lung Health Framework, and the Canadian Network for the Prevention of Elder Abuse. Nanci is a seasoned communications strategist with over 25 years of expertise in the development and execution of knowledge transformation plans for a wide spectrum of clients. Working collaboratively, she specializes in providing strategic communications planning, knowledge translation services and process optimization solutions that align with organizational goals and transform vision into reality. After beginning her career in advertising and corporate communications, Nanci founded Channel 3 Communications in 1997, collaborating with clients in both the private and public sectors and fine-tuning her services and expertise to meet the needs of clients in the research, health care and education sectors. Nanci has also hosted webinars and led workshops and presentations on social networking and knowledge translation at a number of national and international conferences, including the International Congress on Palliative Care, the Canadian Hospice Palliative Care Annual Conference, the Nova Scotia Hospice Palliative Care Annual Conference, the Canadian College and University Food Services Association (CCUFSA) Annual Meeting and the Quality End of Life Care Coalition of Canada Annual Meeting. A graduate of Carleton University, she has also earned a Knowledge Translation Professional Certificate from the University of Toronto / Sick Kids Learning Institute, and is engaged in Strategic Coach, an organization designed to nurture entrepreneurial ventures. Janet is a bilingual health policy consultant based in Ottawa. Much of her work involves issues of cancer, chronic disease management, HIV/AIDS and palliative care for a variety of clients, including the federal government and national and provincial health organizations. She has extensive experience in policy development, strategic planning and evaluation. Janet is a former Executive Director of the Canadian Hospice Palliative Care Association and is currently Board Chair of Hospice Care Ottawa, where she is also a bereavement support volunteer. She served for several years on the External Review Panel for the Canadian Partnership Against Cancer. Janet was a recipient of the Queen’s Golden Jubilee medal in 2002 for service to palliative care in Canada. Her professional background includes scientific research and journalism. Rylan is an Educational Developer at Queen’s University’s Centre for Teaching and Learning, and an Assistant Professor at the School of Nursing. His expertise in assessment, evaluation, curriculum design, and institutional quality assurance processes has been honed as a consultant and developer at multiple Canadian Universities. His PhD in Educational Psychology and Master’s in Curriculum Science provide strong theoretical foundations to his consulting practice and educational research. Lise is a writer and editor with industry, government and not-for-profit experience. For more than 20 years, she has helped clients to communicate effectively with their audiences. Prior to founding her freelance company Plum Copy, Lise worked for national and international organizations, including a federal R&D agency and two high-tech companies. There, she honed her ability to write in readily understandable ways about complex, jargon-riddled subjects. By working alongside scientists and engineers, Lise also developed a heightened appreciation for accuracy and attention to details. She writes engaging website content, success stories, employee messages, media materials, reports and more. Laurie Ann is a consultant with a background in health promotion, chronic disease prevention and management. Laurie Ann has a broad range of skills honed with our twenty years of experience managing projects for federal and provincial governments as well as non-governmental organizations and the not-for-profit sector. Of particular interest is qualitative research including survey development, stakeholder engagement and analysis to meet clients’ needs. Her approach with clients is grounded in an open, facilitated process based in collective partnership processes and community development principles. 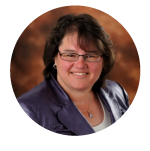 Laurie Ann is the former Executive Director of Women’s Network PEI taking direction from the volunteer Board of Directors employing Policy Governance. Roles included developing and managing proposals, human resource and financial management. Project components included developing partnerships, building community capacity, conducting research and consultation designed to influence public policy. Of particular note was research and consultation on maternity and parental benefits that was presented at a national level leading to changes in legislation. As a volunteer, Laurie Ann was a member of the Canadian Lung Association Board of Directors and a member of the policy committee. Denise is a Researcher in Residence in the Office of Health Science Education and Professor in Education at Queen’s University. Denise has extensive experience for both classroom-based and online learning. Since 1993, she has taught, consulted, evaluated, researched, and provided educational development at the college, university and corporate levels. In recent years, her research has focused on graduate supervision, research ethics, educational development, and online learning. Jodi is passionate about the role of not-for-profits and has served as a professional and volunteer fundraiser for the past 17 years. She has held management positions in the nonprofit sector and was part of a number of successful fundraising campaigns in the education and health care fields. Her work was recognized by her peers with the AFP Rising Star award in 2004. Jodi held the CFRE (Certified Fund Raising Executive) international designation and is a committed life-long learner with degrees and certificates from Mount Allison, Mount Saint Vincent and Dalhousie universities. Wendy is a Human Resources Consultant who brings experience, knowledge and ambition to every client. She has been practicing HR since 2003, holding positions including HR Consultant, HR Manager, HR Advisor and Business Owner in private, public and not-for-profit sectors. Her work experience with clients has includes organizational redesign, position and workflow reviews, compensation studies, management training, policy development, workplace bullying and harassment and conducting workplace investigations. Wendy is highly involved in the community with boards and committees having both leadership and support roles. She holds the national designation of Certified Human Resources Professional (CHRP) and will complete her Interest Based Conflict Resolution Certificate in the fall with one remaining course. She is pleased to be an Associate of AOR Solutions and is committed to collaborative practice with Associates and clients.